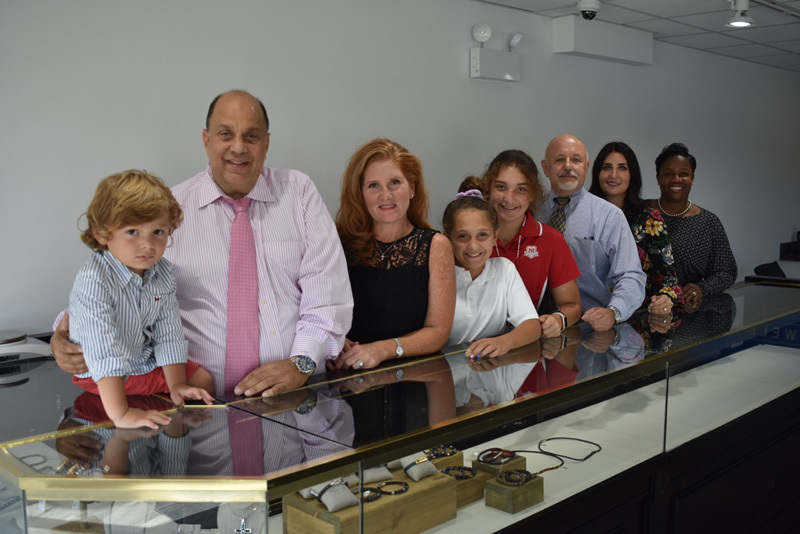 Beverly/Morgan Park neighbor Charles D. Halpern, a third-generation jeweler and with 48 years of industry experience, recently opened Charlie’s Diamond Jewelers, 3500 W. 95th St., Evergreen Park. Charlie’s Diamond Jewelers offers fine jewelry, including earrings, bracelets, engagement rings and more, as well as jewelry repair. Halpern’s father owned several jewelry stores in Chicago, and his family owns Albert’s Diamond Jewelers in Schererville, Ind. He brings years of professional experience as well as a stellar reputation for knowledge and service to his new enterprise. The quality merchandise, service and value at Charlie’s Diamond Jewelers goes beyond what can be found at mall stores or kiosks. Charlies also buys old gold jewelry as well as diamond earrings and rings, and the staff takes pride in offering honest valuations. The of professionals at Charlies Diamond Jewelers is ready to serve neighborhood customers, offering quality merchandise, expertise and value. The business also buys diamond earrings and rings, providing honest valuations. For information and hours, call 708-581-5840. Nine One One BBQ Shack, 2734 W. 111th St., is serving a full menu of barbecue, sides and desserts. The new restaurant was named as a reminder to acknowledge first responders and the work they do every day to keep people safe, keep the peace, put out fires and rescue people in peril. Nine One One BBQ Shack serves ribs, rib tips, hot links and chicken dinners, as well as sandwiches piled high with chopped brisket, and pulled pork or chicken. Comfort sides include mac and cheese, greens, sweet potatoes, cole slaw and corned bread and meals can be topped off with homemade cobbler of cupcakes. Dinner Made Easy provides delicious full-meal options to feed two, four or six people. Nine One One also offers weekly specials and catering. Stop in Tues. through Thurs., 10:30 a.m. to 8 p.m., and Fri. and Sat., 10:30 a.m. to 9 p.m. Closed Sun. and Mon. Orders can be placed online at www.nineoneonebbqshack.com. Info: 773-238-9111.